AKB48 concert streaming live tonight! Watarirouka Hashiritai 7 get a new seventh member! Dream Morning Musume perform at the Budokan! And more! 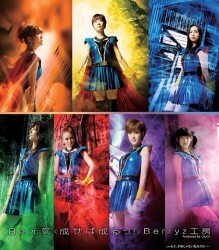 Berryz Koubo get superheroic! Oshima Yuko tries to hide her love! Itano Tomomi sets date for her third single! And more! ex-Dream Tachibana Kana finally launches her solo career! Itsumo Genki tackles the twenty-one questions! Hamasaki Ayumi gags her husband? And more! Morning Musume’s Haruka and Haruna take aim! Acchan is blacklisted from acting with Johnny’s idols! KARA’s Gyuri has to undergo surgery! And more! Preview of the new Stellar MV! Johnny’s charity decisions questioned by fans! LM.C. to appear at Anime Central 2012! And more! 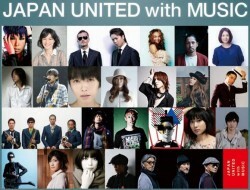 Japan United with Music tells us that All You Need Is Love! A summary of the AKB48 scandal! SMAP’s Nakai plays an autistic detective! And more! 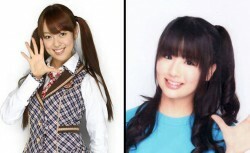 The ouster of Yonezawa Rumi and Hirajima Natsumi from AKB48 has sparked a wave of reactions in the wotasphere. Ray muses on how often he’s heard the arguments about idols and the rules they live by.